Going to be in Calgary for the Winter Cycling Congress next month? 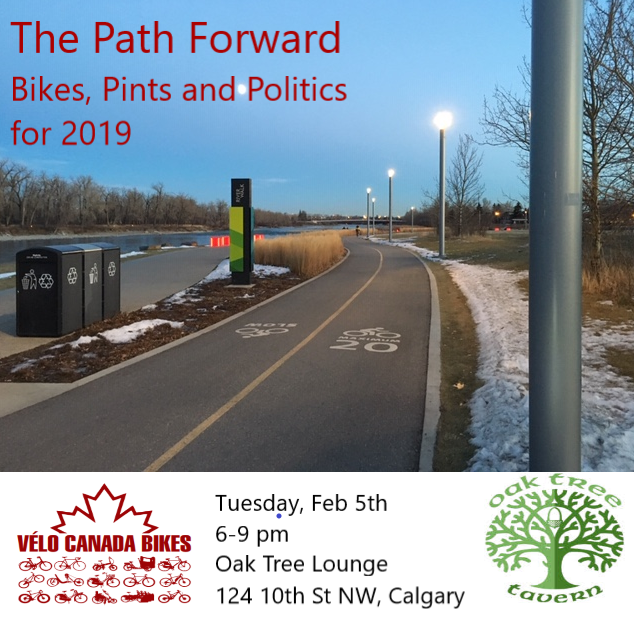 Join Vélo Canada Bikes for a pre-event gathering to prepare for the 2019 Federal Election to ensure that bikes are on the agenda for all parties. Grab a bite, a pint and get ready to engage in some fun activities while we welcome delegates from around the world to Calgary, Alberta, Canada!